About the video: Enjoy The Highspeed Action of Newly LHBfied 15159/60 Chhapra-Durg Sarnath Express powered by ALco & EMD. 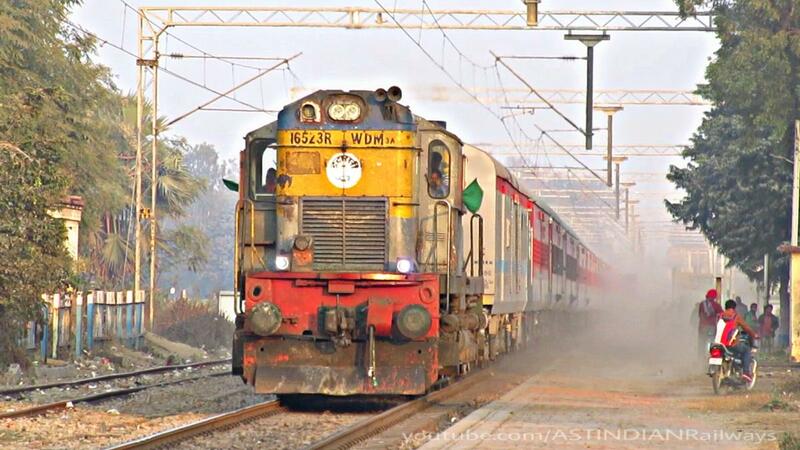 In first Video, Offlink Samastipur WDP-4D powering 15160 Durg - Chhapra Sarnath Express skips at sedate pace. Second Clip, Thundering Cyan Yellow Livered Itarsi WDM-3A with 15159 Chhapra - Durg Sarnath Express raises Dust & Thrashes at 110kmph. Location: Tharwai (THW), NR . Stay Tuned & Subscribe For More..! !